Get Your Ticket on Eventbrite! Our monthly Meetup is January 28th at a new location: DeskHub in Little Italy! "Why Direct Response Marketing Hasn't Worked for Your Business"
Yichen Liu is the Director of Digital Strategy at Movetic. His experience in and passion for all things digital help elevate brands to the next level. 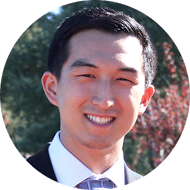 Yichen Liu is a marketing professional focused on digital advertising for SMBs, Enterprise, and Fortune 100 clients in all verticals. With over 5 years of digital marketing experience and a specialization in SEM and SEO, Yichen has had success managing local, national, and international campaigns. To date, Yichen has worked with clients such as MasterCard, Belkin, David Yurman, National Pens, Aria Resort & Casino, and Competitor Group Inc.
+1 More speaker to be announced soon! RSVP now for the early bird special of $10! We'll have more details out soon. 22Social is an all­-in-­one marketing platform that leverages Facebook to collect leads, take payments, and build communities right on your Fan Page. Instead of wasting time on complicated websites and expensive marketing software, 22Social gives you everything you need to effectively promote and sell your products online. Launch your business, engage your audience, and make more sales faster with 22Social’s revolutionary hyper­social Facebook marketing system. AutoAnything is America’s premier provider of performance & protective accessories and replacement parts. Their growth over the last 35+ years can be attributed to AutoAnything’s extensive product selection, unique software development and analytics, passionate employees and a thriving culture. 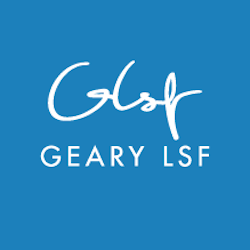 Geary LSF is a digital advertising agency that empowers its clients to take an omni-channel approach to their marketing by providing the tools and guidance necessary to solve their business challenges. We succeed because of our dedicated and talented team that lives and breathes digital and is constantly pushing the limits of our industry, our clients, each other and our agency. By signing up, you agree to receiving periodic emails from SCMC. We promise to never spam your inbox or share your information.